Posted on May 10, 2008 by D.C.
– Inner sleeve case included. On a related note, prices of the 8.9-inch HP 2133 Mini-Note have also dropped (see link for details – high-end versions are available for $749.99 at Buy.com). 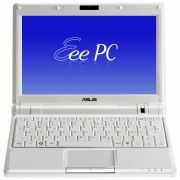 This entry was posted in Announcements, ASUS, Featured, HP/Compaq, Netbook. Bookmark the permalink.